Front entrance hall with large staircase. 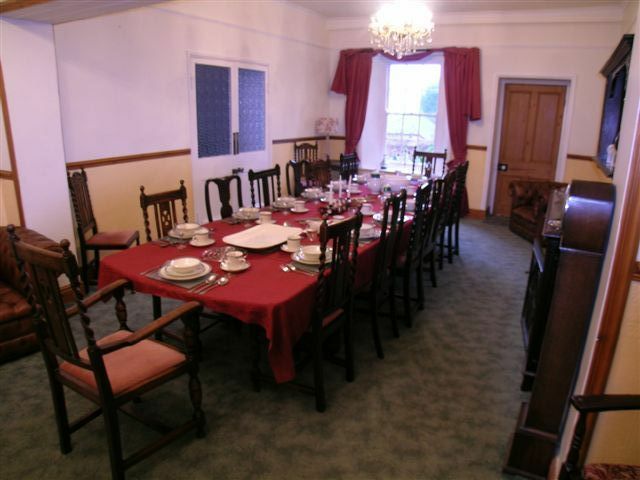 Large dining room with table seating 16 people and leather chesterfield sofa and chairs for seating. 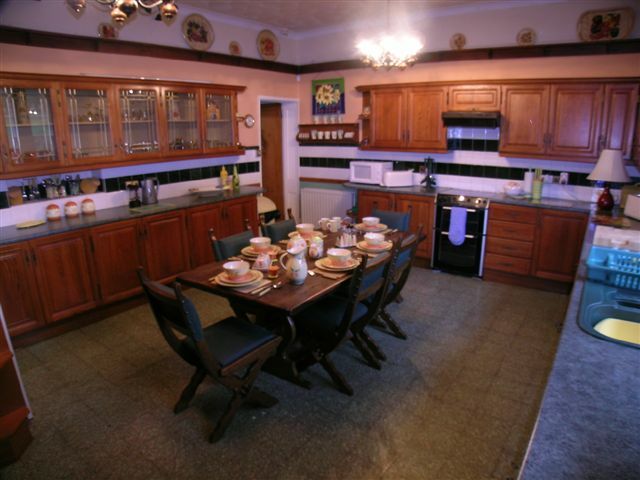 Spacious and fully equipped kitchen. Utility room with washing machine, dryer, dish washer, large fridge and large freezer. 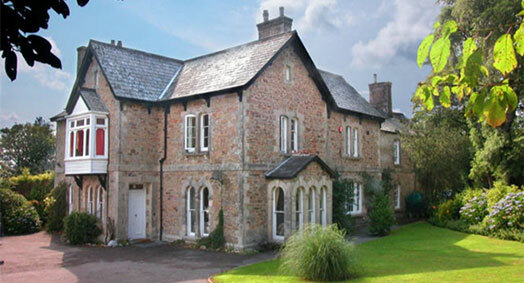 Large rear entrance hall with Inglenook Fireplace, rear stairs to bedrooms and access to bar, games room and jacuzzi/sauna. Bar and Games room with Pool Table and Large Inglenook Fireplace. 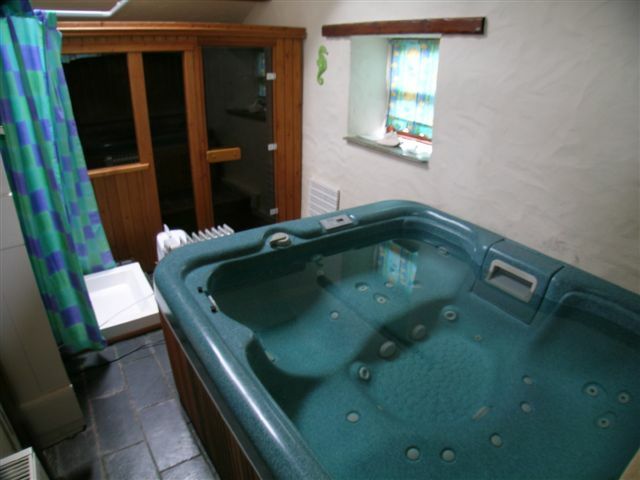 Leisure room with Sauna, Jacuzzi and Shower. 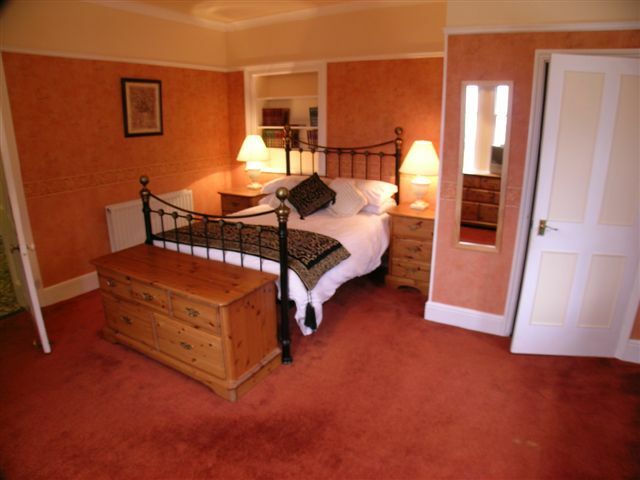 Three further double rooms, two with en-suite showers and WC, one with washbasin. Family Bathroom with Bath, Separate Shower Cubicle, WC, Bidet and Wash Basin. Separate Shower room with Shower, WC and Wash Basin. 6 Acres of grounds including a Walled Garden containing a rare 400 year old twin seater Loo and a "Bluebell Walk" to the stream that borders the property.